The John Laffin Memorial Lecture is held annually. The lecture is open to members, their guests and anyone with an interest in the First AIF and its part in the Great War 1914-1918. The inaugural lecture was held on 13th July 2003 at the Richmond RSL. Lieutenant Colonel Peter Sweeney, former infantry officer and now battlefield historian and guide, delivered an enthralling talk on the Australian battle of Le Hamel fought on the 4th of July 1918. Our second talk was delivered by one of the four 2017 John Laffin Memorial History Prize recipients, Nathaniel Sgambellone of Monash University. 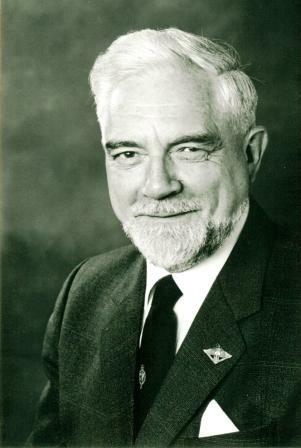 His talk, “Good Bye to All That” was based on his original research of the Repatriation files in the National Archives of Australia. The role of the 2,500 nurses who served overseas during the war with the Australian Army Nursing Service (AANS) was outlined by Clare Ashton, a senior nurse and expert historian in the role of nursing and the medical services in the Great War. Clare presented a survey of the AANS nurses who served as afield as Lemnos, Egypt, France and England. FFFAIF Committee member Sue Tongue spoke about her Grandmother, Sister Nellie Pike, the mother of FFFAIF Founder John Laffin and his younger sisters Patricia (Williams) and Daphne (Tongue). Nellie served in the 3rd Australian General Hospital. Click here to view a more comprehensive report on the 2018 John Laffin Memorial Lecture Series. Dr Ross McMullin spoke on his new book “In his own words, Pompey Elliott at War”. He used his research into the correspondence and writing of this famous commander of the 15th Brigade AIF to bring to life the story of Pompey Elliott at war. Ross travelled from Melbourne for the lecture. Greg O’Reilly presented his remarkable and original research into the machine gun units of the AIF in “4th Machine Gun Battalion AIF operations and personalities 1917-1918, new research”. Greg had recently published articles in both of the FFFAIF journals on the subject, and travelled from Perth for the lecture. The 2016 John Laffin Memorial Lecture was held on Friday, 11 November, at the NSW Parliament House theatrette (an excellent venue). The NSW Minister for Veterans’ Affairs, The Hon David Elliott was the host, but had commitments elsewhere and was represented by The Hon. Scott Farlow MLC. The Western Front Association and Fromelles Association, along with the History Teachers Association helped promote the event. Neville Kidd, recited The Ode via Skype to the 34 members and guests who attended the lecture. Inaugural President Craig Laffin conveyed the appreciation of the Laffin Family for FFFAIF continuing to honour the memory of his father. The impact that the battle of Fromelles on families and commemorations of the battle, Royce Atkinson, President of The Fromelles Association. The battle of Pozieres and The Pozieres School Project, Will Davies, historian, Author and ANZAC Ambassador. 2007: Sam McSkimming, inaugural winner of the John Laffin Travel Prize, spoke with great passion of the anguish and grief experienced by families in Australia when loved ones went missing, were injured or killed during that dreadful war. Their heartache was all the more acute due to the vast distance involved. To most Australians, their loved ones may as well have been on another planet. 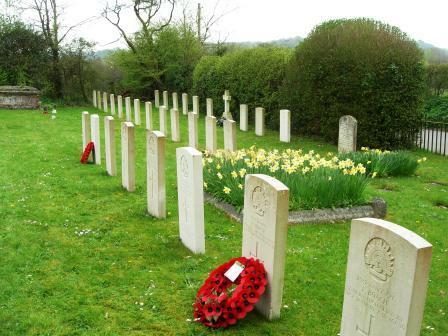 There was no way they could afford to travel to pay tribute, either physically or financially, and in any case, thousands who perished had no official grave. It is little wonder memorials were erected in most areas of the country as soon as was practical; at least they provided a focal point for the grieving. © Copyright Sam McSkimming. Subject to the fair dealing provisions of the Copyright Act 1968, reproduction in any form is not permitted without written permission of the Author. I’d like to thank the Families and Friends of the First AIF for inviting me to deliver the John Laffin Memorial Lecture. It’s a great pleasure to be part of such a genuine organisation; and one that continues to make a significant contribution to the study and commemoration of Australian involvement in the Great War. Today I have chosen to speak, perhaps unwisely for a Sunday morning, of loss, bereavement and grief. My aim today is to explore how a mother or father, in a new country and one impossibly far from the Front, could ever come to terms with the loss of their son.